There was an error in coding which caused the elements in our header for guests to run into each other when using a device with low resolution. We weren't aware of the problem until I navigated to LowISO on my iPad tonight and noticed the elements squishing together and overlapping. The issue has now been resolved, and header elements display properly on all computers except for those with very low resolutions. 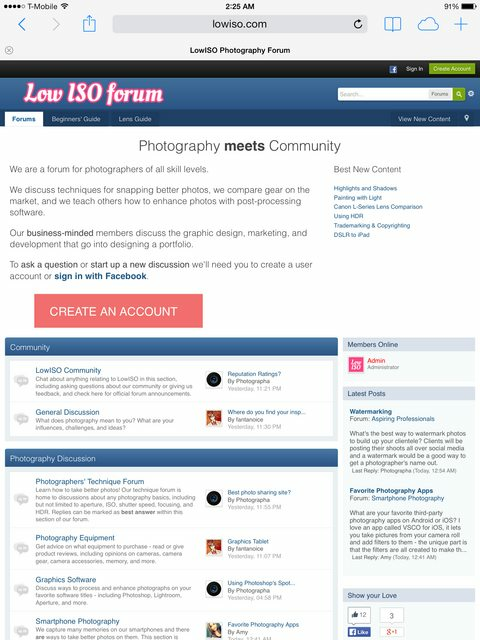 If anyone finds any errors on LowISO in the future, please let us know by posting in this section.